Our most progressive & innovative ReBuilder of all time, with biofeedback integration and automatically variable waveform technology. Three Frequency Settings & Dual Output design to maximize every ReBuilder treatment session. Relieves pain by stimulating the large afferent nerves with a waveform that is an identical copy of a healthy nerve impulse. 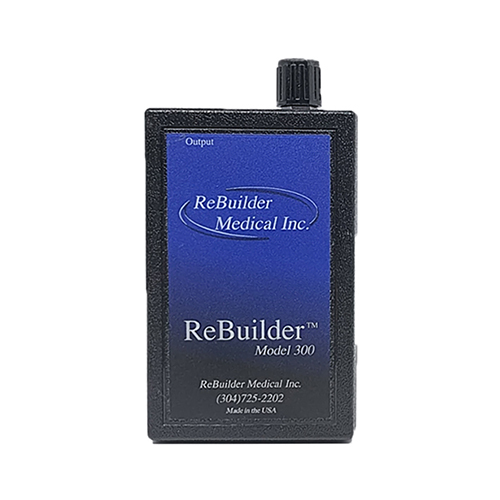 Included is a proprietary circuit that uses the Bose® concept for noise suppression that cancels out extraneous aberrations in the returning reflex nerve signal. Electrical Muscle Stimulation is effective to painlessly strengthen muscles that are otherwise too painful to exercise. The body naturally uses electrical messages to tell muscles what to do. EMS causes leg muscles to contract, helping push venous blood to improve circulation. It’s what the leg muscles naturally do when we walk or exercise. An immediate nerve pain block in small, localized areas through high frequency ‘buzzing’; an electric analgesic to ‘numb’ the area. One Frequency Setting & Single Output design to effortlessly familiarize yourself with ReBuilder treatments. 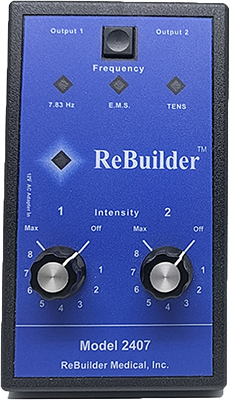 Each ReBuilder mode: 7.83Hz, EMS, and TENS all have their own adjustable intensity level setting controlled by you, allowing you to customize every ReBuilder treatment. The ReBuilder signature signal uses real-time monitoring of your body’s response to customize its output for you. This allows the ReBuilder to gently communicate with your nerves in a language they understand, rather than shouting at them to impair their function. 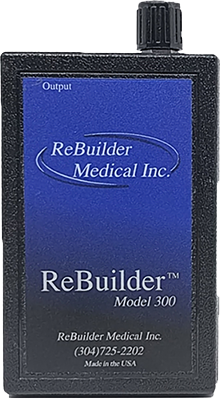 The best way to experience the full benefits of restored blood flow, re-educated muscles, and relieved pain is to try the ReBuilder for yourself. We protect your investment! Every ReBuilder comes with a Lifetime Warranty and Lifetime Complimentary Support. 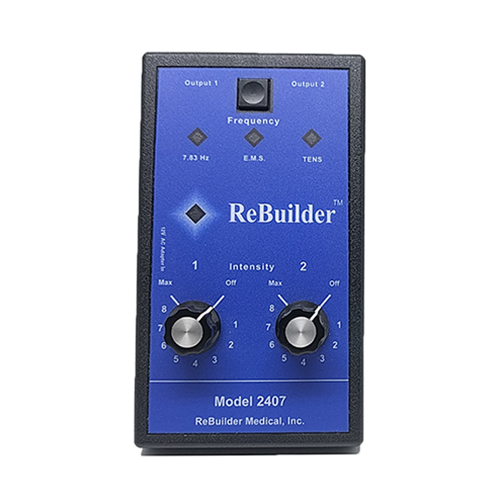 When used with the ReBuilder, our optional accessories allow you to experience the many facets of the ReBuilder’s dynamic waveform. It’s easy to get started feeling relief TODAY with so many accessories available! *Orders may be placed by phone Monday-Friday 8am-6pm EST. **Offer valid for new customers. Not to be combined with any other promotion, discount, or group.